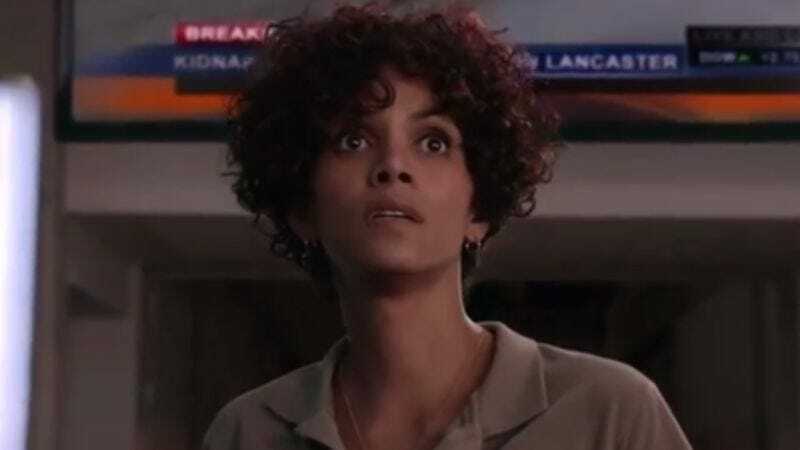 Confirming the increasingly common dictum that “TV is the new film,” all movie theaters are currently being destroyed and replaced with big televisions, and also Halle Berry is starring in a CBS series. The actress—who most recently starred in Movie 43 and The Call, therefore this is happening—has signed on to take the lead in the thriller series Extant, which CBS recently picked up from Steven Spielberg for an initial, 13-episode run. Berry will play a female astronaut who returns from spending a year alone in space and has trouble reconnecting with her husband and son, the experiences she endures both among the stars and at home leading to “events that ultimately will change the course of human history.” Of course, given that this hails from Steven Spielberg, it’s safe to assume there’s really only one kind of encounter Berry could have had that so transforms both her and all of humanity: Berry becomes Abraham Lincoln, then returns determined to find and kill John Wilkes Booth—and anyone else who gets in her way. Extant: Halle Berry’s Space Lincoln premieres next summer.